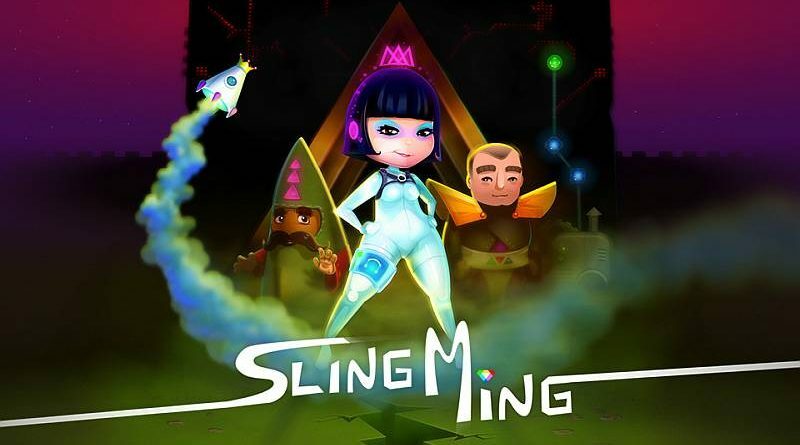 Good Night Brave Warrior has announced that its on-rails puzzle adventure Sling Ming will launch on Nintendo Switch eShop and Steam on April 5, 2018 for $11.99 / €11.99. There will be a 20% launch discount on the Nintendo eShop in Europe/Australia and on Steam, but not on the Nintendo eShop in America due to Nintendo guidelines. Grab your helmet, princess, you’re in for the ride of your life. Hook up to the Oxylane, a transit system that lets you fly through the air, swing around corners and defy gravity. Embark on an intergalactic adventure, trace the steps of your missing father and recover the keys to the mysterious vault beneath your castle.